German investment in the ten member states of the Association of Southeast Asian Nations (ASEAN) has been increasing steadily and has the potential to grow further in the coming years. In the first part of this five-part article, we analyzed German investment in Brunei and Cambodia. We next look at Indonesia and Laos. Indonesia represents the largest ASEAN country with a vast potential to accelerate into one of the major economies of the world. 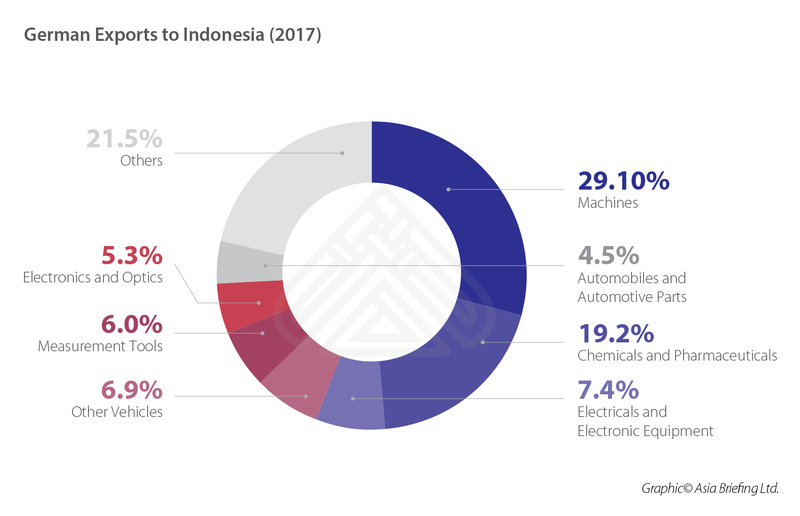 Ranked 30 on the Market Potential Index, Indonesia represents a large consumer market with a potential for increasing attractiveness for German products. FDI inflow in Indonesia somewhat dropped in 2016 due to both domestic and international factors. 2017 showed slight recovery with some US$268 million invested in Indonesia by German investors. Having exported US$3 billion worth of goods to Indonesia in 2017, the country represents the 52nd largest export partner of Germany. In the same year, Germany imported US$4.4 billion worth of goods from Indonesia. Germany mainly imports textiles and shoes, oil-based products, electronics and food products. Import-Export trade registered a modest 15 percent growth in 2017. Several major German brands have already established offices or production facilities in Indonesia. Adidas, Airbus, BASF, Bayer, BMW, Daimler, Bosch, Siemens and ThyssenKrupp are among the major German brands with a presence in Indonesia. Several others have recently established offices or facilities or are on the verge of doing so. In particular, German companies are attracted to Special Economic Zones in Indonesia, which offer the perfect infrastructure for foreign business to set up in the country. Indonesia’s fast-growing middle class represents a huge consumer market for German products. Increasing disposable incomes make German products more affordable in the recent years. At present, food items still represents the largest consumer good segment for German exporters. With a stable annual growth rate of around 5 percent, Indonesia presents perfect opportunities for German exporters. With its large and cheap workforce, the country is also an ideal location for setting up of manufacturing facilities by German companies. Local resources make the production less dependable on global developments. A growing domestic market and a strategic location in Asia provides additional advantages. With an increase in their standard of living, Indonesians are also spending more on healthcare. Germany was the largest exporter of medical equipment to Indonesia in 2017 with a total export of US$138 million. 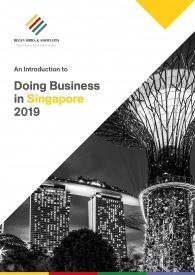 Especially, German high-tech are in great demand and open up large opportunities for German high-tech producers in one of the largest and fastest growing healthcare markets in Asia. The automotive sector with an annual growth of over 5 percent also offers immense opportunities. Although the market is largely dominated by Japanese producers that sell small, eco-friendly and therefore less-taxed cars, increasing disposable incomes open up opportunities for German automotive companies. The construction sector also offers opportunities for German companies. 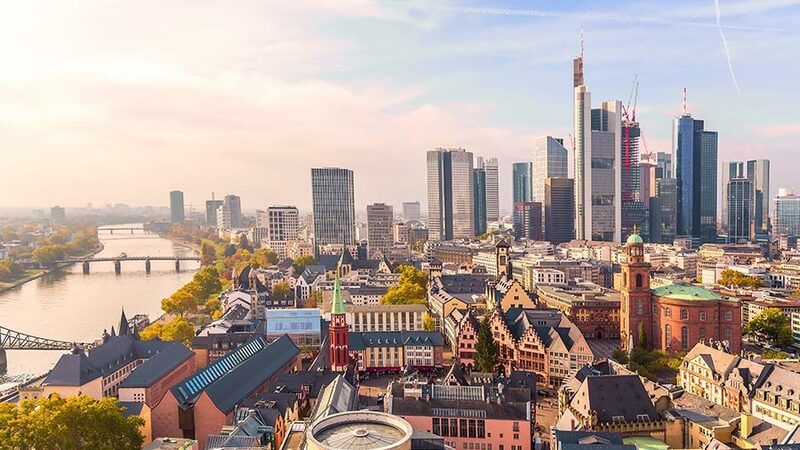 With an annual growth rate of more than 10 percent in the last ten years, it represents a major market for future German investments. In 2017, the market grew 24 percent due to large investments especially in the tourism industry. The country’s infrastructure depends heavily on foreign machines and investments to back this development trend. The energy sector, which is built upon foreign investments and equipment as the local industry is not in the position to conclude complex energy projects, is another potential area for increased German investments. Most machines in Indonesia are imported. 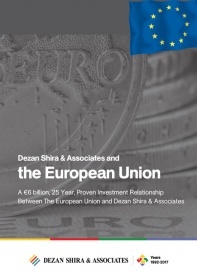 The recent ban on export of untreated resources opens the opportunities for large heavy-industry projects which will be extensively dependent on foreign know-how, including German technology. Indonesia represents a country with a large potential but also poses risks. Non-tariff barriers continue to hinder investments and trade. 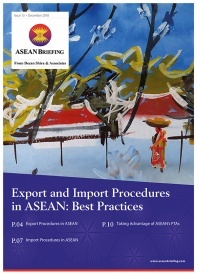 Rules around import requirements are subject to regular changes. Corruption also poses risks in the country. In the 2015 Corruption Perception Index, Indonesia was placed 88 out of 168 countries. The relatively unskilled workforce presents another obstacle for investments in Indonesia. Located close to China, Laos opens up for German manufacturers opportunities for low-cost production to supply the Chinese market or factories in China. Low wages and good energy supply make this option increasingly attractive. FDI inflows into Laos have increased since 2012 and represent immense opportunities for further development of the country. German imports from Laos have remained steady in recent years with US$89 million worth of goods imported in 2017. On the other hand, German exports to Laos decreased to US$33.8 million in 2017. German imports consists mainly of textiles at around 85 percent of total imported goods. However, German companies are not well represented in Laos. Laos can position itself as an alternative for companies that formerly produced in China. Cheap labor, close proximity to the Chinese market and increasing infrastructural ties with China make Laos an attractive manufacturing location. The country’s annual growth rate has remained around 7 percent in the last five years. Textile industry can especially benefit in view of increasing wages in China. The nation can especially benefit from Chinese companies outsourcing their production for the Chinese market as it is closely tied to the country by infrastructure and Special Economic Zones. Tourism, particularly eco-tourism, present further market opportunities in Laos for German investors. Laos aspires to become a large producer of energy in the region. Often called the “Battery of Southeast Asia,” the country wants to export especially to Thailand and Vietnam, two fast growing and highly energy depending economies. 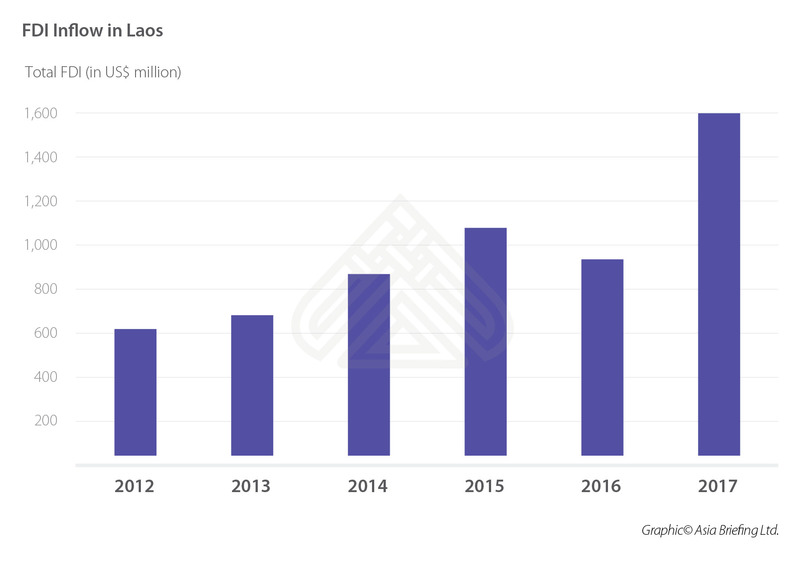 With a capacity growth of approximately more than 30 percent in the first half of 2017, Laos is on its way to achieve this goal. 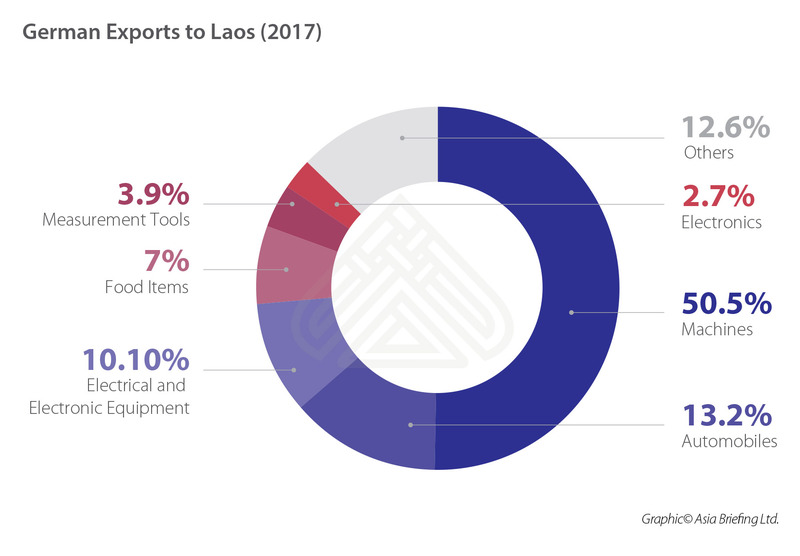 Laos represents an interesting market, especially for machine and high-tech energy equipment exports by German companies. However, the Chinese dominance in this sector due to cheaper prices and closer location presents an obstacle. Overall the country’s dependency on Chinese FDI presents challenges for further investments by other countries as most infrastructural projects are being implemented with Chinese help and therefore directed towards the Chinese market. In the third part of this five-part article, we look at German FDI in Malaysia and Myanmar.